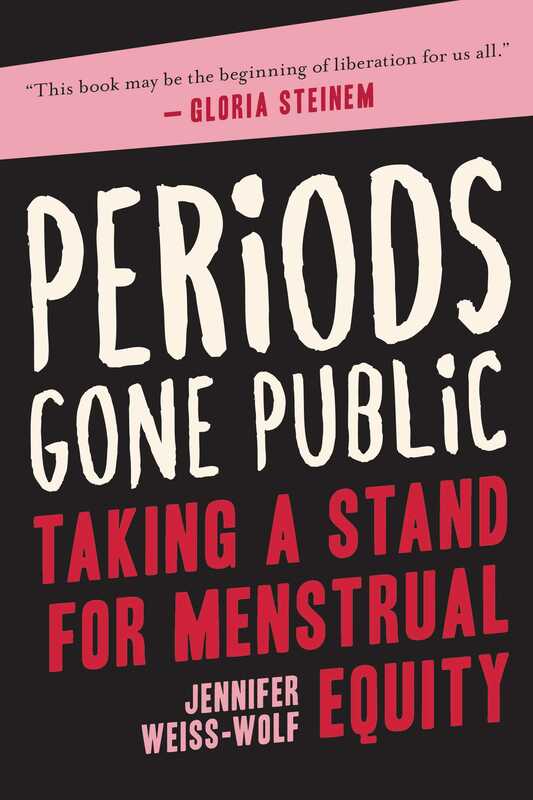 The first book to explore menstruation in the current cultural and political landscape and to investigate the new wave of period activism taking the world by storm. After centuries of being shrouded in taboo and superstition, periods have gone mainstream. Seemingly overnight, a new, high-profile movement has emergedone dedicated to bold activism, creative product innovation, and smart policy advocacyto address the centrality of menstruation in relation to core issues of gender equality and equity. In Periods Gone Public, Jennifer Weiss-Wolfthe woman Bustle dubbed one of the nation's "badass menstrual activists"explores why periods have become a prominent political cause. From eliminating the tampon tax, to enacting new laws ensuring access to affordable, safe products, menstruation is no longer something to whisper about. Weiss-Wolf shares her firsthand account in the fight for "period equity" and introduces readers to the leaders, pioneers, and everyday people who are making change happen. From societal attitudes of periods throughout historyin the United States and around the worldto grassroots activism and product innovation, Weiss-Wolf challenges readers to face stigma head-on and elevate an agenda that recognizes both the powerand the absolute normalcyof menstruation. Jennifer Weiss-Wolf is a leading advocate and voice for equitable menstrual policy in America. Her petition to end the tampon tax, launched in partnership with Cosmopolitan, catalyzed a national movement. Newsweek deemed her the "architect of the U.S. policy campaign to squash the tampon tax." Weiss-Wolf’s writing and work has appeared in the New York Times, Washington Post, TIME, Newsweek, Cosmopolitan, Glamour, The Nation, Bloomberg, and Ms. magazine, among others. She is on the Advisory Board of ZanaAfrica Foundation, which provides essential menstrual health education and products to girls in Kenya. She lives in Maplewood, New Jersey. "A thoroughly researched call to action . . . accessible, nuanced and groundbreaking. . . Relevant for all readers interested in how current government policies impact society and for those wishing to know more about global approaches to innovation.”  Library Journal, starred review.